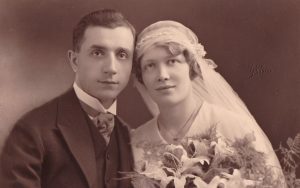 In the early 1900’s, American women who married a foreigner instantly lost their American citizenship. Women facing this fate might, or might not, have regained their American citizenship later on. In short, American women who married a man who was not an American citizen lost their American citizenship. American men, however, could marry a woman who was not an American citizen and continue to keep their own American citizenship. In addition, the foreign woman who married an American man would instantly become an American citizen. That woman could keep her American citizenship even after her marriage to an American man terminated. In 1915, there was a court case called Mackenzie v Hare that challenged the portion of the Expatriation Act that took away American citizenship from women who married a foreign man. The case involved a woman who was an American citizen who was born in California and had always lived in that state. She married a British man named George Mackenzie who was also living in California. When Mrs. Mackenzie tried to vote in San Francisco, she was refused. She was told that she could not register to vote because she ceased to be an American citizen when she married George Mackenzie. She was informed that she was now a citizen of Great Britain. Mrs. Mackenzie sued, but lost the case. The majority of judges believed the United States had the right to revoke the American citizenship of women who married a foreign man. In 1920, the Nineteenth Amendment gave all American women the right to vote. American women started lobbying lawmakers, pushing them to recognize that American women’s citizenship should not be tethered to that of their husband. This led to The Cable Act of 1922, which presumed to resolve this issue (but failed to do so). The Cable Act of 1922 was introduced by Representative John Cable of Ohio. It was officially named the Married Women’s Independent Nationality Act. It required expatriated American women to petition the government to regain their citizenship. However, if their husband wasn’t eligible for citizenship, the woman’s petition would be denied.